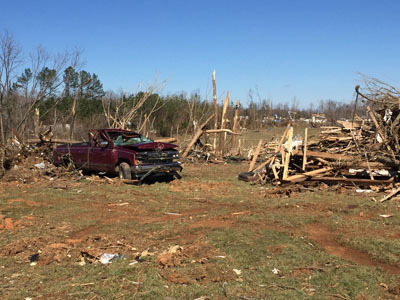 On Wednesday, February 24, 2016, a 400-yard-wide EF3 tornado, with wind speeds above 130 MPH, left a 13-mile path of devastation in Appomattox County, Virginia. 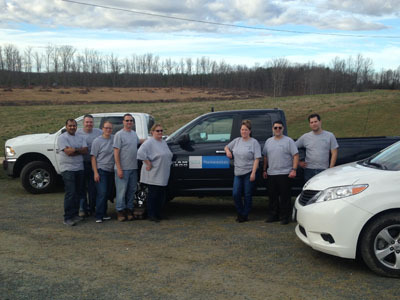 Immediately after the storm, Teva employees from our Forest, VA site mobilized to provide relief services for those affected and to also ensure that the 13 Teva employees who live in Appomattox were safe. 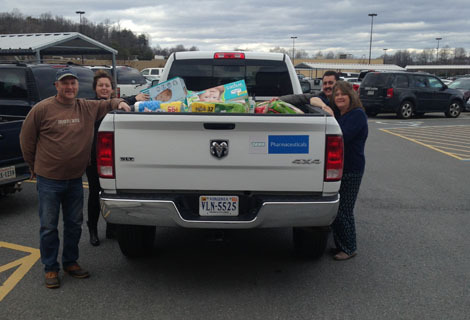 Within 24 hours, Teva’s advance team had two trucks of emergency supplies dispatched to the county’s collection point at Liberty Baptist Church. The atmosphere at the donation center was extremely chaotic and the volunteers were bombarded with questions, information, and donations. 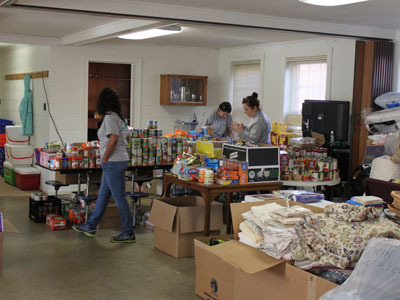 To make sure that they could maximize their utility, the Teva employees asked the point person at Liberty Baptist Church to call if they needed specific supplies, manpower, or any other service to help the residents of Appomattox County. Over the next 48 hours, Teva received a range of material requests and the Teva response team delivered all of them successfully, with a response time of less than two hours. With the Teva team’s support, affected residents were able to access life staples as well as items to preserve/protect their belongings. Evergreen Baptist Church (EBC) was selected as the county’s Emergency Command & Control Center due to its close proximity to those most impacted by the storm. This enabled the church to be the main distribution point for all donations. The outpouring of donations was greater than EBC’s logistical capacity, so the church asked the Teva volunteers to take over all operations related to inbound and outbound donations. On Monday, February 29, Teva volunteers arrived at EBC and met with state, county, and church officials to define the scope of Teva’s involvement and to see where else Teva assistance could be of value. Teva volunteers took over meal delivery (for volunteers and victims) from the National Guard, area canvassing for people in need, and operations management of the donation distribution center. Over the next two weeks, 44 Teva volunteers performed a huge range of duties to support relief operations. 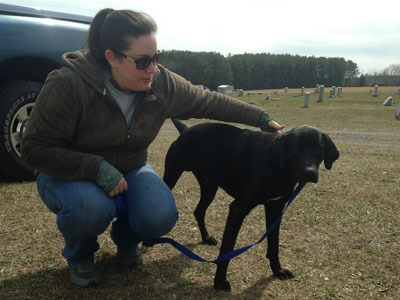 From animal rescue to videotaping house damage for insurance assessments, Teva volunteers provided whatever aid was required. On Friday, March 11, Teva volunteers returned donation logistics back to Evergreen Baptist Church. The partnership between Teva and EBC has led to new friendships and a greater brand presence in the local community. Although the initial phase of Teva employee support has concluded, there is a lot of work left to do in rebuilding the community. Teva volunteers plan on being an integral part of this effort, working with Habitat for Humanity, and the Forest team looks forward to jumping in to help again in the months to come.